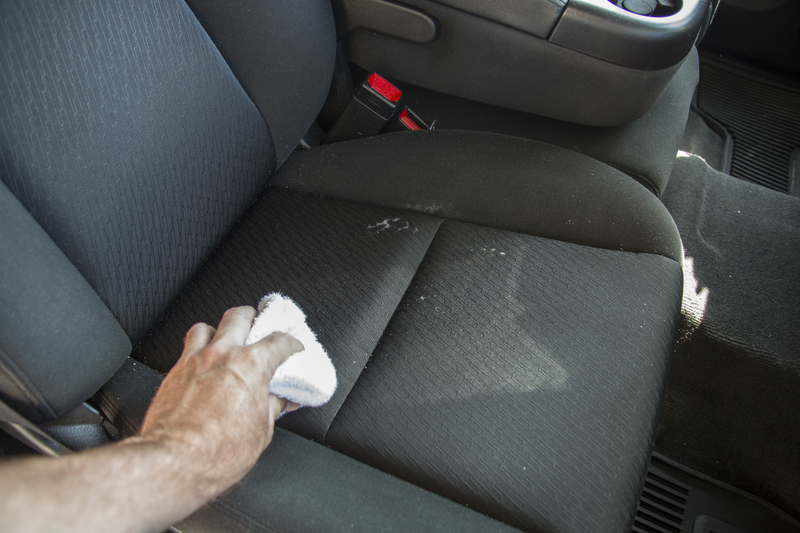 As you drive your car, the interior will inevitably need cleaning after some time. 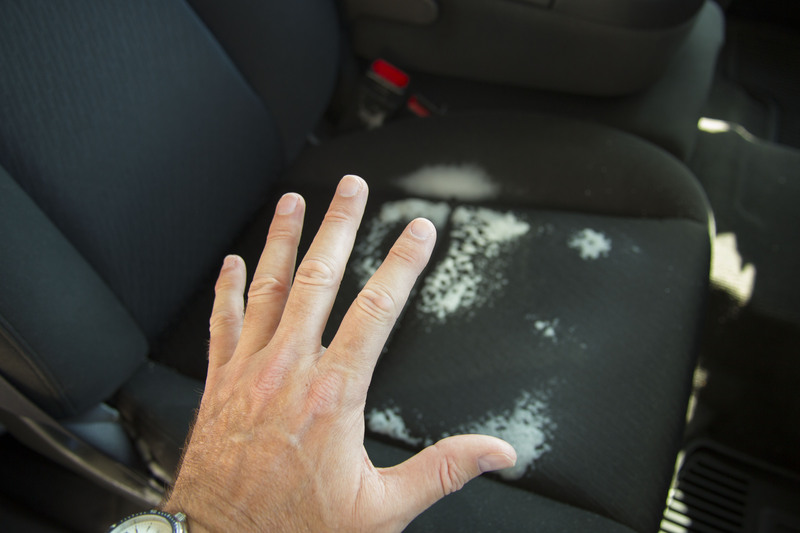 Depending upon how careful you are in the car not to spill and make messes, you may have a little soiling or you may have a significant amount. Car interiors will become more dirty if you regularly transport children and pets also. Clean fabric car seats to prevent soils and stains from setting. 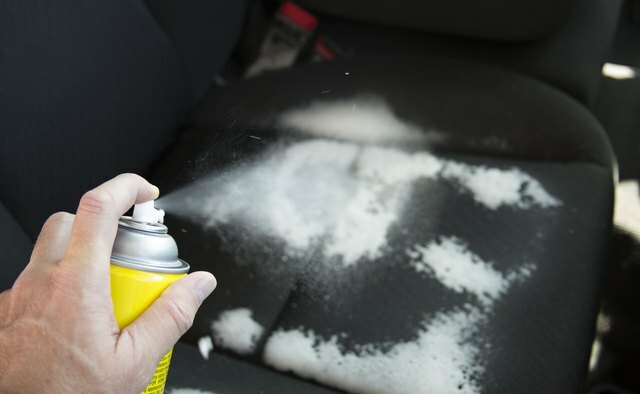 Maintain your car interior regularly to keep it attractive. 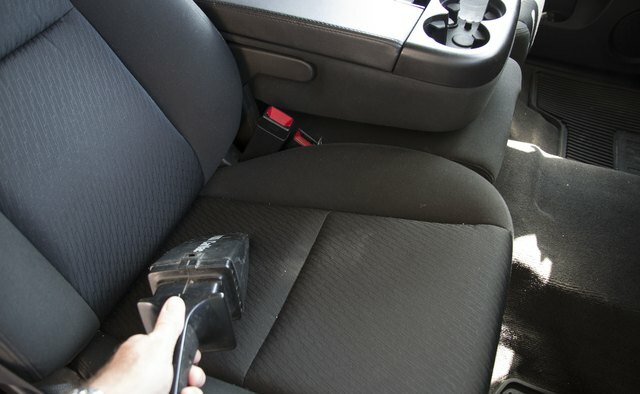 Vacuum the fabric car seats to remove superficial dust and debris. 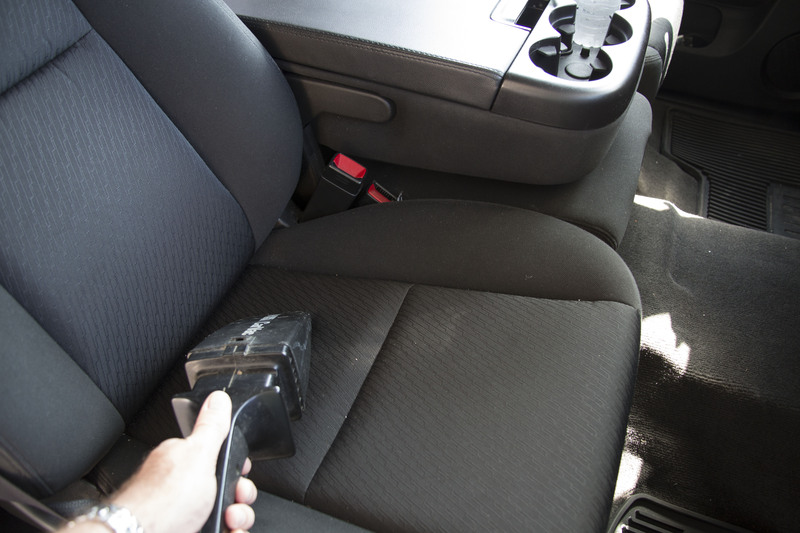 Use the crevice tool attachment to remove dirt accumulating in crevices of the car seats. 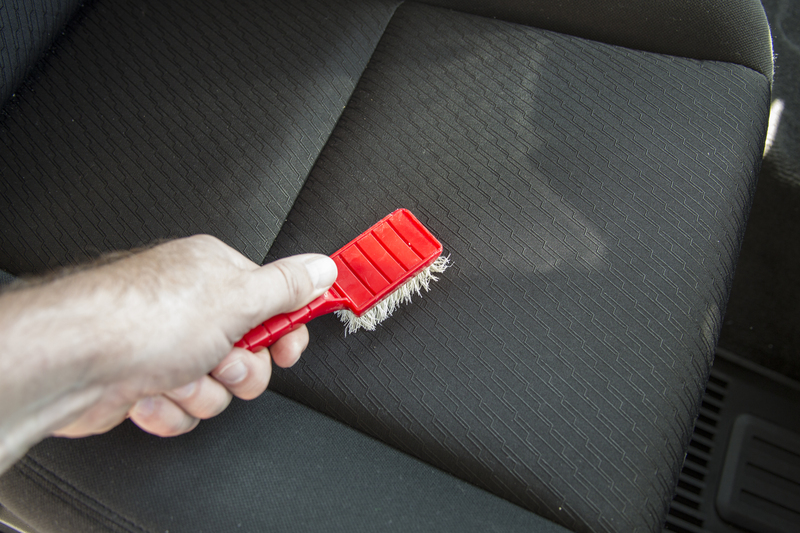 Use the brush tool attachment to remove as much dust and debris from the fabric as possible. 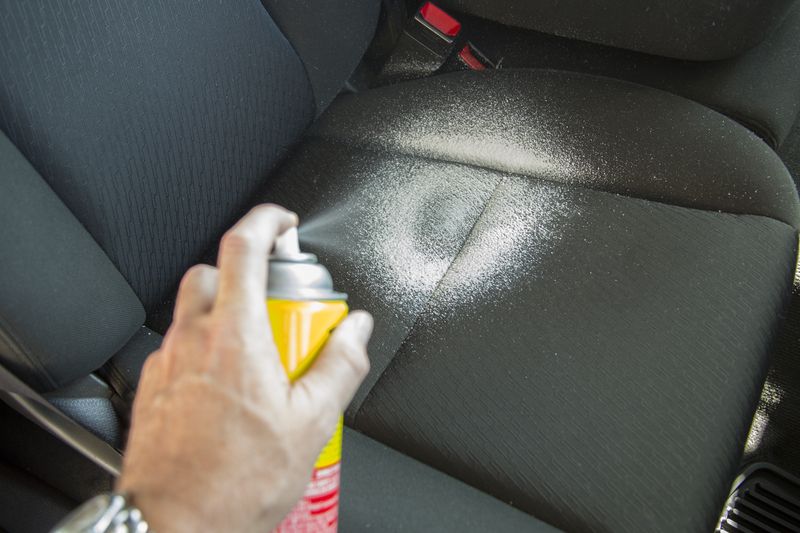 Spray the auto upholstery cleaner onto a one-foot area of the fabric car seat. 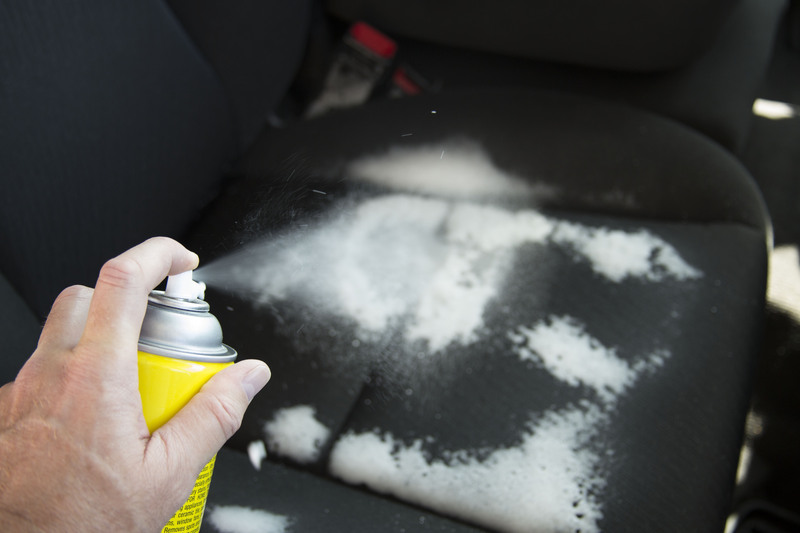 Shake the can first (if you are using an aerosol spray) and hold the cleaner so it sprays onto the seat from an 8-inch distance. Do not saturate the fabric completely--a light misting is ideal. Allow the cleaner to sit on the fabric for approximately five minutes. 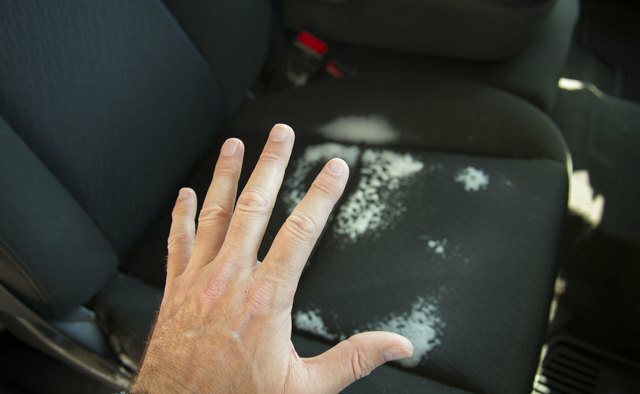 Moisten one of the cleaning towels slightly and use it to rub at the sprayed area of the car seat to remove soiling. Continue working on the area until you remove any stains. Use the soft-bristled brush to work at any stubborn stains on the fabric. Do not scrub so hard that you damage the fabric fibers, however. 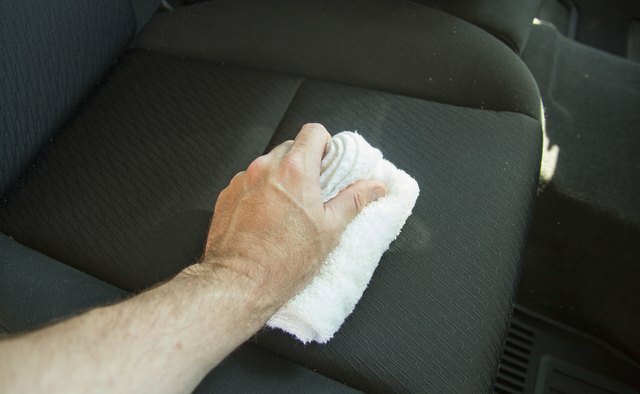 Wipe the car seat area with another dry towel to remove the upholstery cleaner from the car seat. 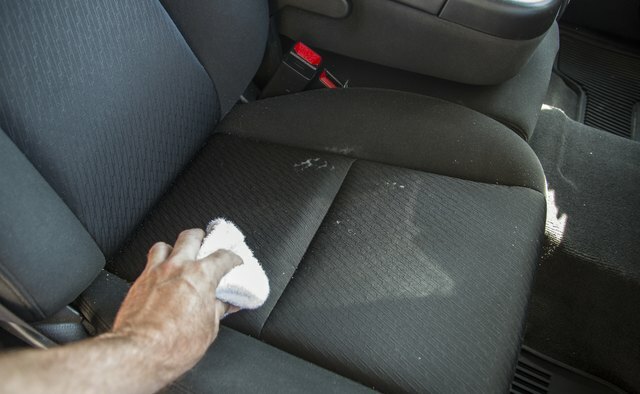 Continue cleaning one-foot areas of the car seats using the same process until the entire surface of the car seats is clean. 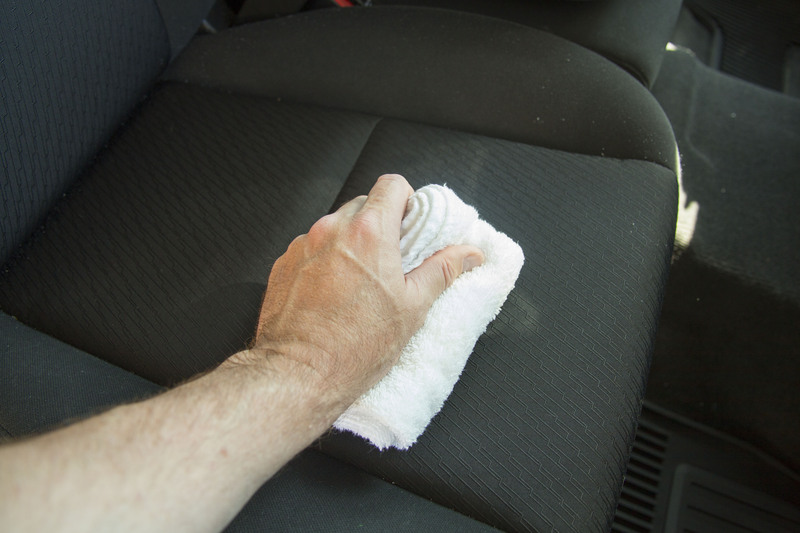 Use a microfiber towel instead of a regular cleaning towel to absorb the upholstery cleaner from the car seat fabric easily.